How exciting and fun it is to purposely think about being kind and to purposely notice the kindness graciously given from those around us. It was so encouraging to see the enthusiasm of the class as we did this. (Below is an art activity that we did. 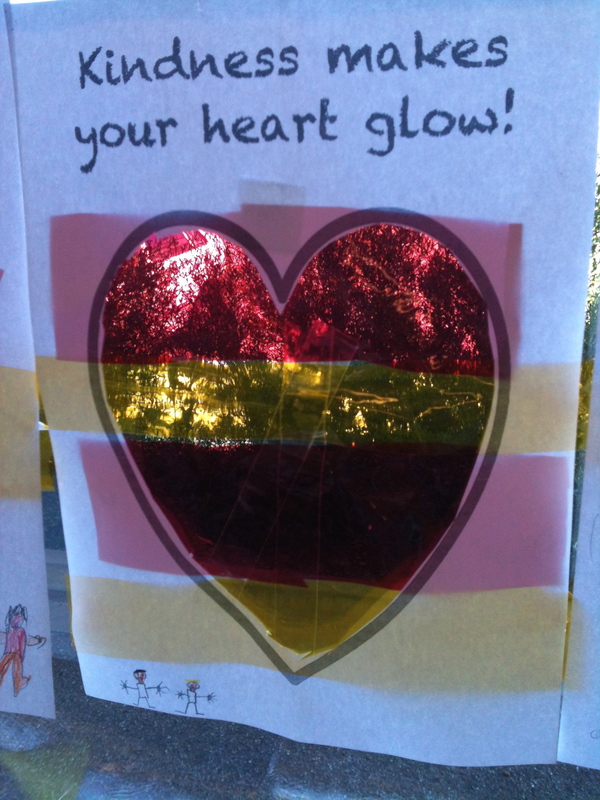 The photo does not show well the way the hearts ‘glowed’, but they looked great!) May you have a weekend filled with much doing and noticing of kindness around you.